At the last show in Barrie I saw what I thought was the handiest wiring setup. The guy(I'm so bad with names ) in the Accent could rewire his subs between parallel and series OUTSIDE the box!! Nuts and bolts from inside the box to outside, wire terminals etc.. Anyone have a wiring diagram for something like this for 3 dvc subs? The only possible problem I see, is that the speaker wire would need to be smaller to fit two wires in any one terminal. At lower power levels this might not matter but will it limit high power applications? 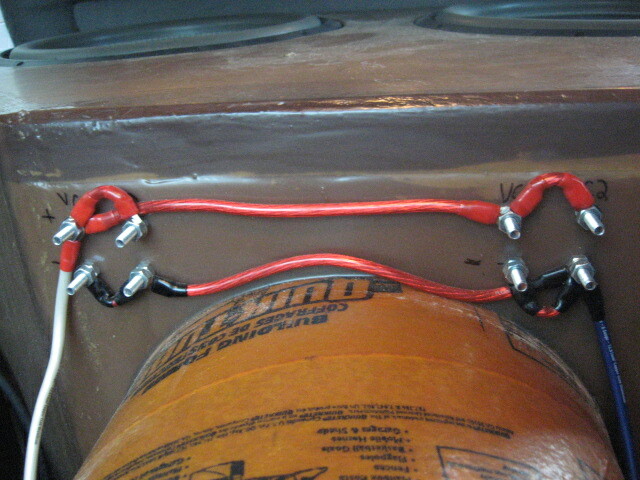 Just do like I did and use: nuts, bolts, and ring terminals on the wire ends. I just can't wrap my head around the right way DS.. well maybe...I dont know.. I put 2 wires on each voice coil on each sub, then run those wires to separate bolts heading outside the box? So for 3 DVC's I'd need 12 bolts (4 for each sub) through the box? Marked carefully I guess.. 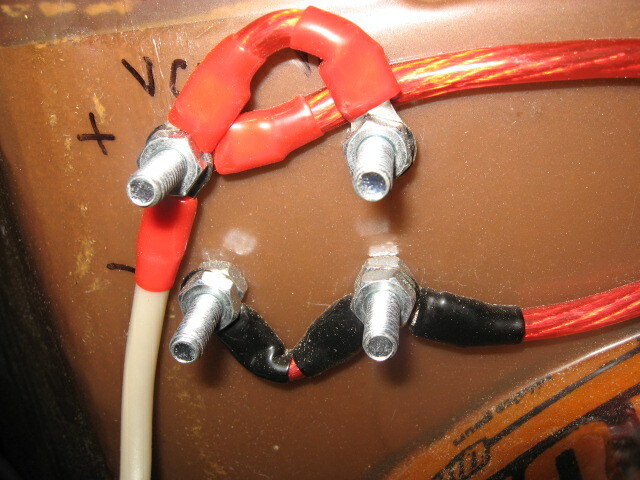 If you want to be able to rewire each individual coil yes. You would need 12 bolts for 3 dual coil subs. 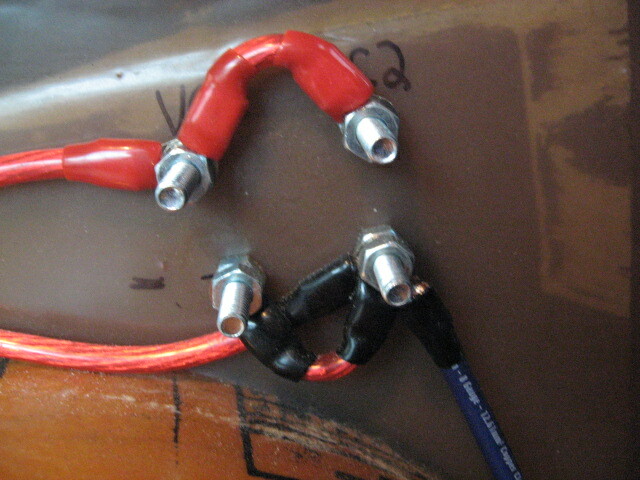 Then little jumpers connect the coils, and wires connect the subs together. I'll go take you a pic. My coils are all paralleled. Last edited by DeadlySones; 11-08-2010 at 07:12 AM. PM me with what your subs are and what final load you need. normally most people wire their subs outside of the box. you can wire 3 dvc subs easily as well. Thats it! ... thanks for the confirmation DS.. Man, I love that melon cannon.. I'll check 'em out Sine, a switch would be pretty slick, thanks. Anyone know someone with one? I dont think relay would be a wise idea. power. Even an HD relay is usually only good for 40A. Jumpers would be much better imo. What u do outside of Car Audio?